SeaDek Products are great for any brand or style of boat, jet ski, or kayak. Additionally, you can use SeaDek Marine Products in other applications. The Sky is the limit with this stuff. We offer pre made and purposed products, as well as sheet SeaDek material for your to customize to your own desire. SeaDek Marine Products produces some of the most innovative non-skid closed cell products in the marine industry. This High-Quality material and finished product features non absorbent foam that is extremely UV resistant. 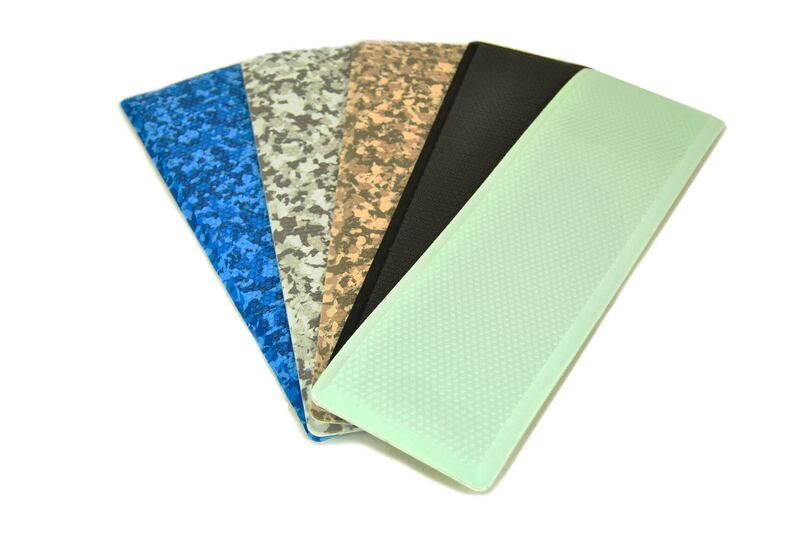 The Innovative micro textured surface is extremely non slip. Another ideal feature of SeaDek is the user friendly installation. The Majority of these SeaDek products use 3M acrylic based high-bond pressure sensitive adhesive with a peel and stick application to adhere to nearly any boating surface. These Features make SeaDek great in nearly any area of your boat, jet ski, or Kayak. The possibilities are endless. Use in high traffic areas for excellent traction even when wet, for added comfort, shock absorption, scratch protection, and noise reduction. Common applications for these products include swim platforms, steps, helm stations, poling platforms, bolster and gunnel pads, and trailers.